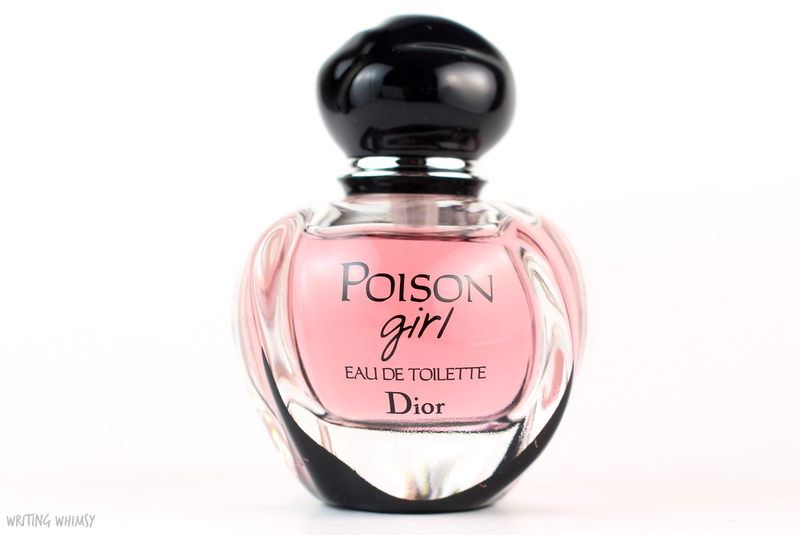 It’s been awhile since I’ve posted a fragrance review on Writing Whimsy, mainly because I have been focusing my efforts on the amazing perfumes I already have, but I couldn’t resist the opportunity to share the latest Dior fragrance, Dior Poison Girl Eau de Toilette, with you. 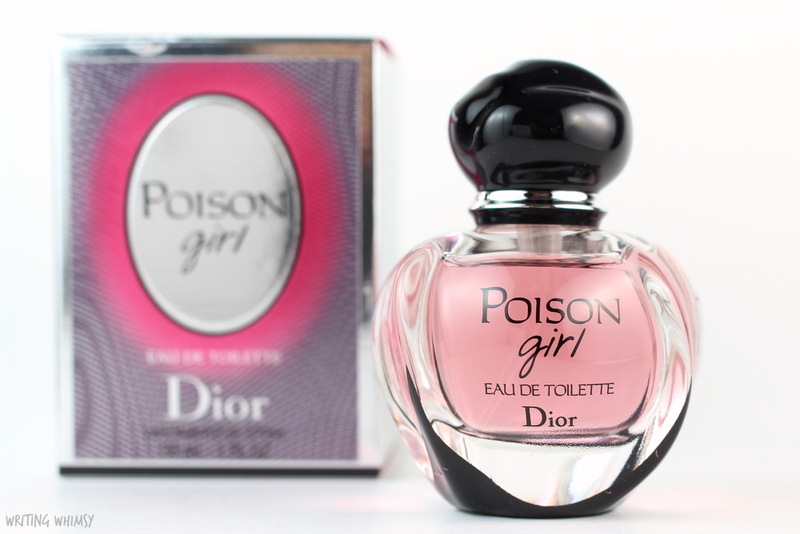 Starting off with the bottle, I actually find the packaging of the Dior Poison Girl Eau de Toilette kinda cute. It’s round with a pebble-like cap and honestly kinda adorable. Inside the bottle, the Dior Poison Girl Eau de Toilette has a sweet, slightly musky but refreshing scent. The notes include a mix of Sicilian Sweet Orange and Calabrian Bitter Orange Notes, Neroli, Rose, Vanilla, Tonka Bean. There’s a warm base which is the predominant scent, especially on dry down, that makes this more of a winter fragrance for me, but that creamy vanilla is mixed with floral and woodsy scents as well. 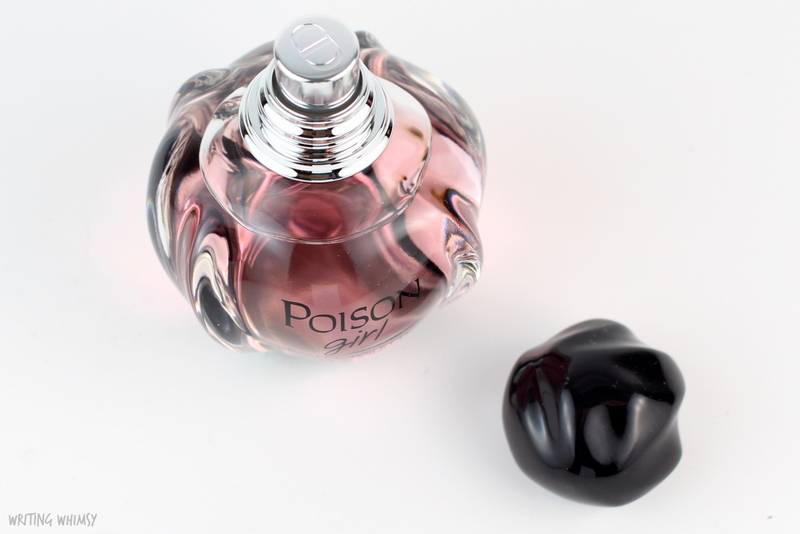 Finally, in terms of lasting power, I find that Dior Poison Girl Eau de Toilette is a bit heavy when first sprayed–I definitely only need one spray–but manages to last all the day as a result. 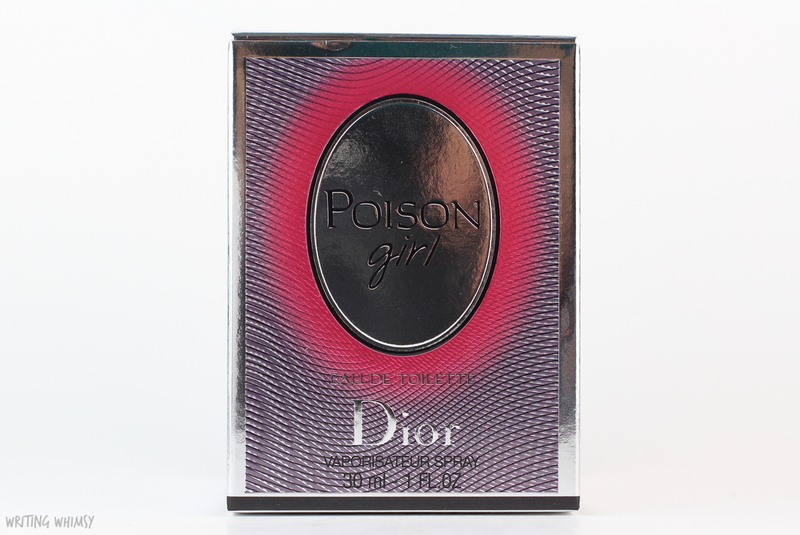 If you are looking for a new sweet but slightly floral fragrance with a scent that lasts, I definitely recommend checking out Dior Poison Girl Eau de Toilette. Have you tried any fragrances from Dior before? I remember being obsessed with one years ago and I would always go smell it at the Duty-Free but I was a super broke student and never picked it up…I’ll have to see if I can figure out which one it was next time I’m at the airport.